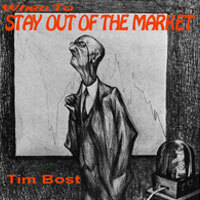 Tim Bost talks about using astrology to avoid market mistakes in this 79 minute audio CD. No matter how skillful we may be at market analysis, all of us can find ways to screw up and lose big money. The question is, when is that likely to happen? Are there times when it's better for us just to walk away from trading? If so, can we predict those times in advance? Tim Bost outlines some straightforward guidelines that will help us find the answers. Recorded live at ISAR 2000 in Anaheim, California. CD: Is That Jupiter in Your Fifth House, or Are You Just Lucky? Tim Bost brings some remarkable insights to the question of personal prosperity in this 74 minute audio CD. Tim Bost explains how the cycles of the Moon can impact the profitability of your trading in this 76 minute audio CD.